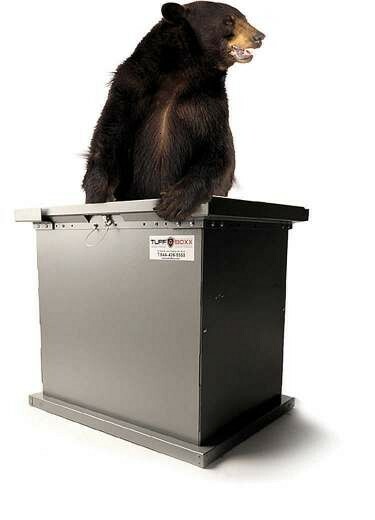 Bear-resistant storage bins TufBoxx ofers a number of galvanized steel bins for securely storing trash and recyclables, including the aptly named Bruin, Grizzly, and Kodiak models.The base models will keep out raccoons, skunks, coyotes, and all other critters. When used with the bear guard accessories, they will keep out the most persistent bears as well. TufBoxx products can be painted in one of five standard colours, and the lids utilize gas shocks for safe, easy opening and closing.